Thanks to downloading and streaming services the music industry has evolved at rapid speed in recent years. And of course, these changes are industry-wide, they’re not just impacting the talent. Take, for example, the role of an A&R. Shorthand for “artists and repertoire” the A&R’s role is one responsible for discovering, signing, and developing new artists. Thanks to the digital age, independent musicians have the ability to record and create their music, market it and sell it with just a few steps. Ericka Coulter, founder of The Basement and VP of A&R at Epic Records. Image: George Jonathan. Coulter is using her business savvy and her ear for talent to bridge the gap that many music labels are experiencing when finding artists and developing them. 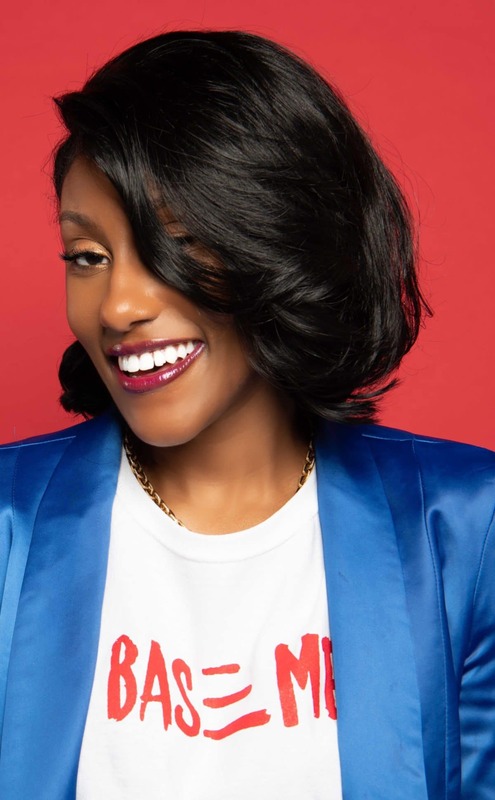 The music executive who has worked with 21 Savage, Jidenna and Keyshia Cole is the founder of the Los Angeles live events series TheBasement and Instor3 management company. 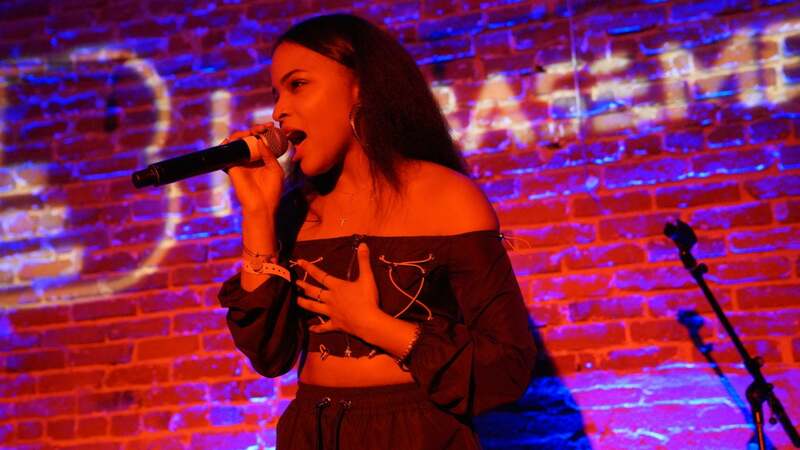 During one of music’s biggest weeks, Grammy week, Coulter spoke with ESSENCE to talk her work in A&R and how she’s creating opportunities for up and coming artists. ESSENCE: Why is A&R still an important part of the music industry? Coulter: We prepare [artists] for everything that [they’re] about to go through. From vocal lessons to stage presence, those are things that you have to be trained for. We’re in the studio; we’re helping you get beats and everything else. I signed an artist by the name of Lauren Sanderson, who put together her project in her bedroom in Indiana. I discovered her because of her project. I put PnB Rock on the record for her, but Lauren was the person that orchestrated her project. We have to help each other. ESSENCE: When did you decide there was so much more to give to music than what you were already doing at Epic Records? Coulter: A friend of mine was showing me his music, and he was still new in the game, and so it wasn’t one of those things where I’m going to give you a deal. I thought, what advice do I give you? At that time you put [your music] on Soundcloud and hope to build a following, but what happens after that? How do you get in the room with someone like myself to make sure I’m hearing [your music], or I get to see it live? That’s what sparked it for me because I can go to Atlanta and New York to hear this great talent in music, but in L.A. there may be places, but you don’t know about them. So awareness to know more about them needed to be done, and that’s what I want to help with. Even for myself, as an A&R, [I ask] how can I make sure that people know how to get to me? Coulter: It’s almost like artist development, and it’s something that a lot of people don’t do anymore. You now have artists that can put together their project in their bedroom and make great music, but then when it comes time for them to get on the stage, they might not have the best presentation. They may not have their whole set together and there might not be things that they have been trained for yet. That’s what TheBasement is here for. While I’m putting you in this room, I’m letting you connect with a producer that you may have been trying to reach. I’m introducing you to a manager that you may need and I’m helping you get new opportunities. A young lady named TeaMarrr with a great record out called “One Job,” I introduced her to H.E.R.’s manager. He later asked [TeaMarrr] to open up for H.E.R in Boston. This is the girl that’s in Los Angeles that wasn’t opening up for anyone and got that opportunity, and now she’s talking to a manager who could potentially help her. We’re the glue to help with some of the things that haven’t necessarily been connected yet. ESSENCE: How is TheBasement closing the gap between A&R and music labels? Coulter: We’re not working against labels; we’re working with labels. Whether it be the label that I work at or another… if someone from that label comes into TheBasement and they see artists and like what they look like on stage they can take a meeting or hear one of the records. It’s open for everybody because not every artist can be signed to one label. That’s why it could work for everyone. This is something that we’re missing. I’m in the business of having career artists. As much as I love the fact that there are records that come and they’re great for that moment and go, I also grew up on music that lasts for a lifetime. I want to be a part of it. Clive Davis did artist development for Whitney Houston; Jeff Robinson did artist development for H.E.R. that’s why she is nominated for all these Grammy Awards and flawless on stage. Certain things have to happen for these artists to become the superstars that we want them to be. I want to be a part of helping. ESSENCE: What advice would you give Black women artists and aspiring A&Rs? Coulter: I would tell any girl, don’t ever let your color be the reason you’re not going forward. I think sometimes a lot of this is psychological; a lot of it is us holding ourselves back and the minute that you get out of your way, you are 1000 percent unstoppable. I had to learn that for myself. As much success as I’ve had and great artists that I’ve worked with, it wasn’t until I started something of my own that I knew I could do it. No idea is a bad idea. If you don’t do it, you can’t blame anyone but yourself.